Daddy's Girl Onesie Only $3.58 Shipped! You are here: Home / Great Deals / Amazon Deals / Daddy’s Girl Onesie Only $3.58 Shipped! Daddy’s Girl Onesie Only $3.58 Shipped! This is the cutest thing for new fathers to delight in seeing on their baby girls! 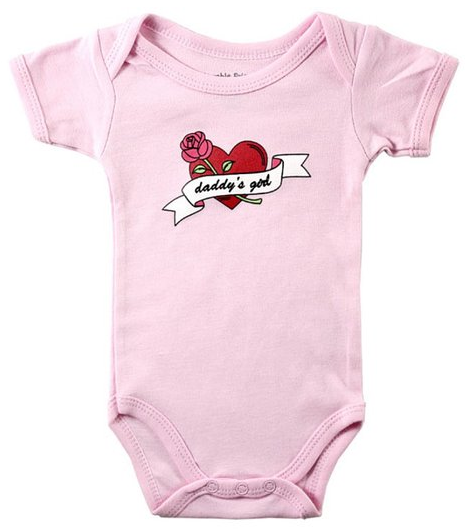 This Daddy’s Girl Onesie is Only $3.58 Shipped! What’s even better is, you can choose from other sayings such as “Cry Baby” and “Rock Star” as well! Get yours NOW!